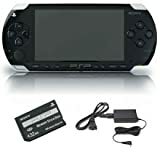 If you have the PSP and a little extra cash, it's pretty much mandatory that you get a Memory Stick Duo card.The 32MB that comes in the PSP Value Pack is just a joke -- unless you plan to use the PSP strictly for gaming only, in which case you don't need to buy a larger-capacity memory card. 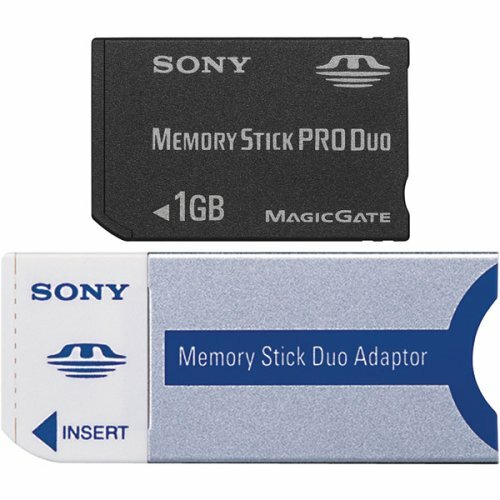 If, however, you want to take full advantage of the PSP multimedia experience, a larger-capacity Memory Stick Duo is just a must.Consider yourself lucky, for just six months ago a 1GB Memory Stick Duo (MSD for short) would have made you $300-$400 poorer.Kudos to Sony for bringing the price down to something we mere mortals can afford.But curses to Sony for not using an industry standard format like Secure Digital. 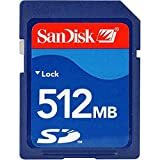 Anyway, you have pretty much two choices when it comes to 1GB MSD cards.Either a Sony, or a Sandisk.Lexar (another company) is supposed to be selling it, too, but I haven't seen theirs in the retail channel, so the choice comes down to either Sony or Sandisk. 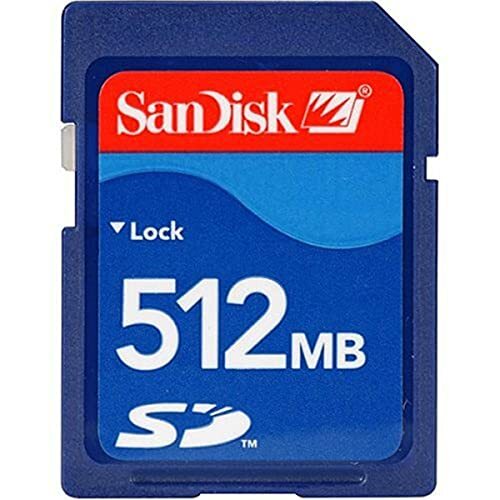 As I mentioned many times in my previous reviews, I still have lingering doubts about Sandisk's quality control, as in the past I had no less than two Sandisk flash memory cards fail on me when I needed reliability the most (i.e., a "Kodak moment" for my digital camera).The price difference between a Sony 1GB MSD adn a Sandisk seems pretty small.BTW, if you see a 1GB MSD for over $150 in a store, you'd be overpaying, so come back to Amazon and get it here. 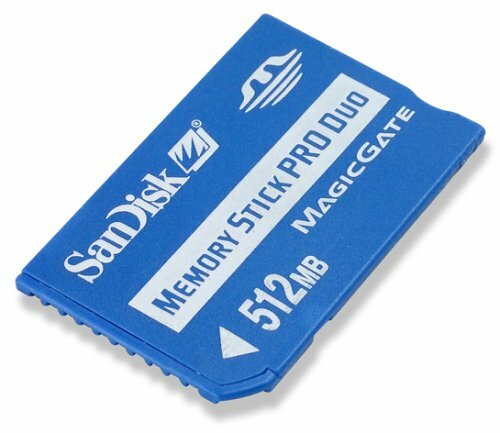 The popularity of the PSP does make both the Sony and the Sandisk 1GB MSD cards hard to find, so maybe you just want to grab whichever one that's in stock.I myself am willing to pay a bit extra for Sony's reliability, but other people have had luck with Sandisk MSD's, so don't let my experience discourage you from getting a Sandisk.It's just that with the Sony memory card, you're unlikely to have any problems, assuming you don't bite or let your dog nibble on the card. 1GB is a lot of memory.Most PSP games use 600KB-800KB for game save data.MP3 tunes encoded at the most common 128kbps bit rate runs about 1MB/minute, so a 4-minute song will occupy 4MB.Video files are harder to summarize since there are so many different encoding bitrates and options (e.g., 15fps or 30fps, mono or stereo or surround sound).I encode at 384kbps/15fps/mono, and one hour of video takes about 150MB.If you want to encode at the more fluid 512kbps/30fps/stereo, expect about 300MB per hour.In short, you should have no trouble fitting more than one full-length movies on this.Feel free to e-mail me at gadgester @t hotmail if you have any questions. High Quality, 100% Accessible, INCREDIBLE RESULTS! 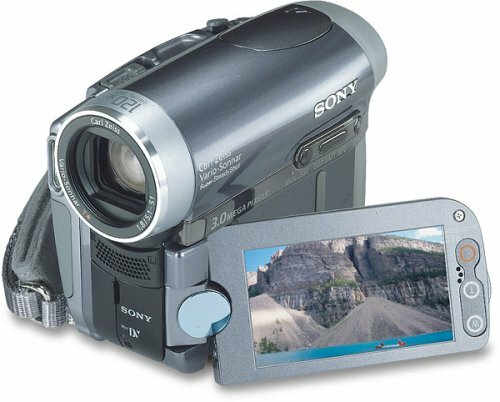 When I was first looking for a new video camera to make my films on, I wasnt even looking at MiniDV. I was actually looking at the $3,000.000 Canon professional DV camera. After hours of searching online, I finally found a video camera that I didnt even expect to buy. The DCR HC90. And, man, am I glad that I bought it! I was really looking for something sleek and professional, with exceptional quality. So I knew that I had to go with Sony. 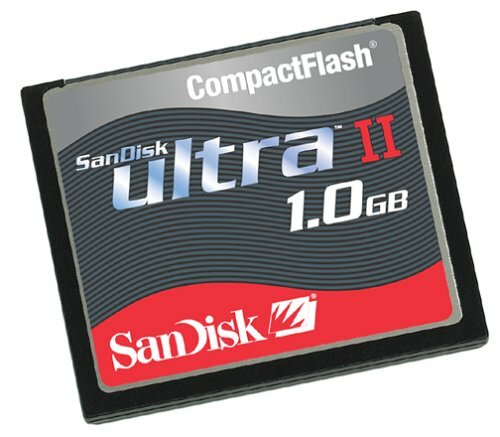 I read previous reviews for this camera, and I was wondering how such amazing quality could come out of something so small. And I didnt even totally realize how small the camera was until I recieved it. I have relatively large hands and the camera is the size of my palm! The camera has a very durable and sleek look to it. If this were a cell phone, it would be like Motorolla's RAZR v3 phone. It is so tiny and compact! The supersteady shot is AMAZING! I was thinking I was going to need a dolly for the set of my new movie, but it turns out that I didnt need one, because the steady shot is so perfect, it naturally looks like I'm panning and dollying. IT'S SO PERFECT! The LCD screen gives off ABSOLUTELY CRYSTAL CLEAR PICTURE! And its in TRUE 1.85:1 Widescreen! Which is very helpful for me, considering I am making professional films to send out to big time festivals. The special lens, which does auto focus for you, is absolutely INCREDIBLE! When I hooked my camera up to my TV (which isnt even a hi-def tv), I was blown away with how crystal clear the picture was, and how perfect the focus was. When I was watching the video footage I filmed for my new feature, my friends walked in, and asked me what DVD I was watching because the quality is so unbelievably perfect! All of the features are listed on the camera's LCD touch screen, which impressed many of my cast and crew on the set of my film. (I reccomend a screen protector, just because you are going to constantly touch the screen.) The touch screen is 100% perfect with no flaws! It even has little cartoons that show you what the camera will do! Absolutely stunning! I also bought the compatible 4 channel wide stereo microphone. THE AUDIO IS CRYSTAL CLEAR! YOU COULD LITERALLY HEAR A PIN DROP! The compatiblity between the microphone and camera is exceptional! The camera lets you choose what type of audio you want to record, and records it in its original, pristine condition. It sounds EXACTLY like if you were back at your filming location. And looks exactly like you ARE THERE! This camera does EXTREMELY well with computer hookups for digital editing. My previous camera lost alot of quality in the camera to computer transfer, and with the HC90, I dont lose one speck of color, or one beat of sound! ITS ABSOLUTELY STUNNING! THIS CAMERA IS A MUST BUY FOR ANYONE LOOKING FOR A HIGH QUALITY, EXTREMEMLY EASY TO USE, AND REWARDING VIDEO CAMERA! My new film actually looks like it was filmed on 35mm, and it is impressing many people when I pull out the camera, they are blown away with the exceptional quality of this little camera! I picked this little gem up at the Sony store less than a month ago. They had all their camcorder models lined up on the shelf and the HC90 stood out like a Beauty Queen on a Catwalk. The overall design is an aesthetic masterpiece and fits ever-so perfectly in the palm of one's hand. It is super light weight and you can carry it around effortlessly for hours (it is compact enough to fit in your trouser pocket). All the basic controls are easily accessible to thumb and fingers, and it couldn't be easier to operate. This is my first camcorder so I was under the impression that I would have some intensive study of the included manual ahead of me. I was mistaken. All I had to do was skim the first few pages and I was off and running (albeit in Easy Mode). I have read some critical reviews of Sony camcorders bemoaning their compatibility with third party components, such as PC's. Nothing further could be from the truth! I own a Mac Powerbook. I took a few snaps in Picture Mode and the USB cable loaded them seamlessly into iPhoto. I picked up a cheap 4 to 6 pin Firewire cable at RadioShack, connected the device to my Powerbook and iMovie instantly downloaded the widescreen video footage without any prompting. And it was the same ease of operation in connecting it to my TV, my VCR and my DVD player. I can honestly say that I have never encountered a piece of high technology that operated with such ease and joyful simplicity. I have already shot hours of video without further consulting of the manual and the included software disc remains in its sealed envelope. This little gem seems almost organic in its construction and operation. At 3.3 MP, the still photos are quite excellent and the panoramic option is a real cool feature. The video is superb. I live out in the forest and I can only describe the image quality as true to life. The built in microphone is excellent. When I reviewed some footage shot out in the swamp it was as though the bull frogs were singing right in my living room! The only drawback is that it amplifies anything stronger than a light breeze, but I found that this can be minimized by closing the LCD display and taking advantage of the camcorders sleek exterior design. The battery life can also prove irksome if you like extended shootings.But for a modest investment you can purchase a battery with twice the life. Do I like my new DCR-HC90 Camcorder? No! I absolutely LOVE it!! !It is so portable and easy to use that you can just take it everywhere without even thinking about it, and it attracts looks of admiration and envy wherever it goes. The one I bought was the last one in stock. The salesman whom attended to me said the model was selling like hot cakes, and even though it was the priciest item on display, they were literaly flying off the shelves into the eager hands of happy customers. It is easy to see why.I have a Canon G6, a fine device in its own right. Since I acquired my HC90, it is more or less collecting cobwebs in a forgotten corner of my cabin. I did quite a bit of homework before purchasing the HC-90. I wanted High quality DV in a 16:9 format. I own a 42" Sony LCD HDTV and I wanted sharp, high quality performance. Other factors for me: Solid build (exterior), and good quality parts (interior). Firewire, size, ease of use, MiniDv, and price. size- When the package arrived, I was surprised at the size of the box it came in. It is small. When I opened the box, I was even more surprised at the size of the camera. I was expecting something compact but this little camera is small. I own a JVC MiniDV camera and it is about twice the size and 4 times as heavy. I wanted a small camera but thought that I would have to sacrifice some functionality for size. Well, I didn't. I don't think that I would want a smaller camera or it would start becoming difficult to push the correct buttons without looking around the camera first. Still shots- I have read some comments that this camera doesn't take quality still pictures. I didn't buy it for that but this camera takes really nice photographs and in 16:9 format so it is just like having a wide angle lens. If you email your images or make DVD slide shows, this camera can take some quality shots. I have email some of the pictures to family and I had to resize them all to make them a lot smaller in dimension and subsequently, the images became sharper and details stood out. The flash works just as well as any other still digital camera I have owned. More than adequate for emailing or sharing on the web. I will be leaving my Olympus still camera behind on family outings because the HC-90 can take its place. Motor function- I was simply amazed at the motor and function of the motorized parts in this camera. This thing is fast. Really fast. My JVC is a 3 year old piece of clunky crap compared to the HC-90. When you are playing back a movie and want to scan forward quickly, there is no waiting around for it to change gears, it does it instantly. The push button LCD is very responsive and the camera will take commands without clunking and whining. It rewinds very quickly. It sounds solid and it performs. I am most pleased with this surprise. The video quality- So far it has been awesome. As I said earlier, I own a 42" Sony Widescreen and to see the entire screen filled with video is a delight for me. The colors are rich and the details are fine enough to satisfy me. The camera seems to handle 16:9 perfectly. My wife was astonished at the quality when she first saw it. I used the camera in low light mainly. Dimly lit rooms with lamps. The steady shot works great, giving a flowing look to video when you are walking around. The colors remained bright in low lit areas and in the sun, colors are rich. I messed around with some of the features and they all look good. My wife is a point and shoot person and I taught her to push the easy mode button and she was off. No teaching her how to use it. Common sense is all you need. Dumping DV to my MAC G4 PowerBook- I plugged it in via firewire, IMovie picked up the camera instantly and I began dumping DV as well as editing. That was all there was to it. I haven't even looked at the software that Sony sent. IMovie also recognized the 16:9 ratio and set up my project accordingly. Quick Time and the Sorenson 3 codec had to be fed the aspect ratio manually. I have to figure out pixel sizes with a calculator. I plugged in the USB cable to the camera and my MAC and the MAC mounted the volume and imported my images flawlessly. I also did the same with my WINXP PC. Just plugged in the USB cable and Voila. It showed up as a new drive in My Computer. I also used the HC90 for ICHAT on my MAC laptop. The guy on the other end said he got great video from me. The chat session was between Hawaii and Ireland. Build Quality - Awesome. There is NO creaking (like my JVC). The camera is ergonomically great for my hands and my wife also agrees. All of the buttons are in the right place. The touch panel LCD is wonderful for me. It is solid and I don't worry about it ripping off when opening it and when you close it, it makes a satisfying thud like it was meant to be slammed shut in a hurry. The top loading of the tapes is great. No need to lay the camera on its side or anything like that. I can change the tape while the camera is plugged in to fire wire and the power simultaneously. The camera is very light but built very, very well. I am totally pleased with the build quality. It feels like a Sony. The zoom button is light or easy to manipulate but it can either zoom slowly or very quickly. It is quite sensitive and took a little getting used to. My old JVC felt like it was going to crumble in my hand and the mechanisms seemed so fragile but this camera feels like it can be handled with less apprehension. Things that could be an issue but not as of yet. The pry open plastic doors for cable plug in access - To charge the battery, you have to pry open one of the plastic covers to access the inputs. I can understand that these covers protect the jacks from dirt, etc. Some have said that they may easily become detached in the future. I beg to differ. My JVC has the same type of protective covers and I have not broken them off in 3 years. I was always prying on them because I am always plugging firewire, etc in to the ports. They never broke and most likely never will. I think the hinge is that annoying plasic that never breaks no matter how much you flex it. The more you use the covers, the more plyable they becaome and easier to access. The sony covers are good quality and I doubt these will ever be an issue. It is somewhat inconvienient to charge the camera because you have to open the cover first. The stand alone chargers are not that expensive and I purchased a spare battery so it might be worth getting the charger. 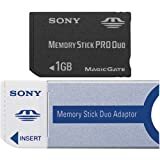 Memory Stick Pro - I spent a bunch of money for a Memory stick original for my Sony Still camera and it will not work in this DV Camcorder. The little one that they sent in not adequate. Looks like I will have to buy another one soon. I wish I did not. Lens cover - This camera has a shutter that opens when you turn the power on so that you don't have to fiddle with lens covers. I absolutely love this feature but, dirt, sand, crap can collect in that area even though the lens will be protected. There are threads there for lenses and filters. There should have been a plain glass lens there to occupy and protect that area from the elements. I will most likely get a cheap filter to screw in there and protect the fine threads. All in all, I love this little camera and I am sure that my family will enjoy it for years to come. 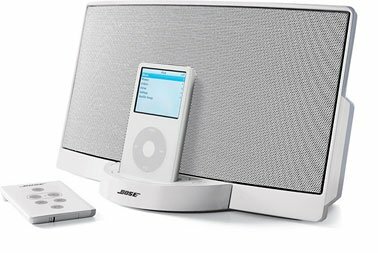 Between this, my 12" MAC PowerBook, my 42" Sony HDTV, and living in Hawaii, I think I have what I need for ample amounts of fun. High speed, sharp resolution, and economical ink refills: Could you ask for more in a home printer? The Canon PIXMA ip4000 is designed with over 1,800 nozzles that produce tiny 2-picoliter droplets, resulting in finely detailed images that are worthy to save in your family album. Pigment-based inks insure colors will stay true, and the prints are resistant to water, fading, and smudges. With resolutions up to 600 x 600 dpi black and 4,800 x 1,200 dpi color, your office documents or school reports will look as beautiful as your photos. Built-in two-sided printing reduces your paper costs and allows you truly professional design options. 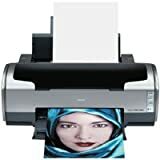 Top speeds of 25 ppm black and 17 ppm color (draft mode) will have your pages in hand in just a few seconds; a borderless 4-by-6-inch photo can take as little as 36 seconds--as fast as those old instant cameras, but with better quality. Thanks to the PictBridge-compatible direct print port, you can connect your digital camera and churn out photos while bypassing your computer system. 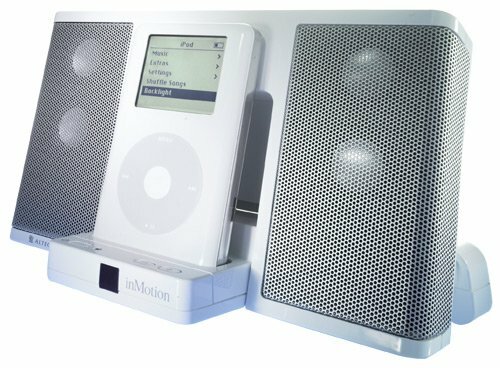 The ip4000 is compatible with Mac and Windows operating systems, and requires either a USB or parallel cable to get it up and running (cables not included). Canon provides a one-year warranty covering parts and service.